Hiya guys, TGIF! I'm so excited. I have the first three days of next week off from work and it's my birthday on Tuesday! The closer I get to my birthday the more I'm starting to look forward to it. I'm such a little kid trying to find out what I'm getting. Looking in the closets for my gifts, haha. If only birthday didn't mean getting old. But I shouldn't think about that now! 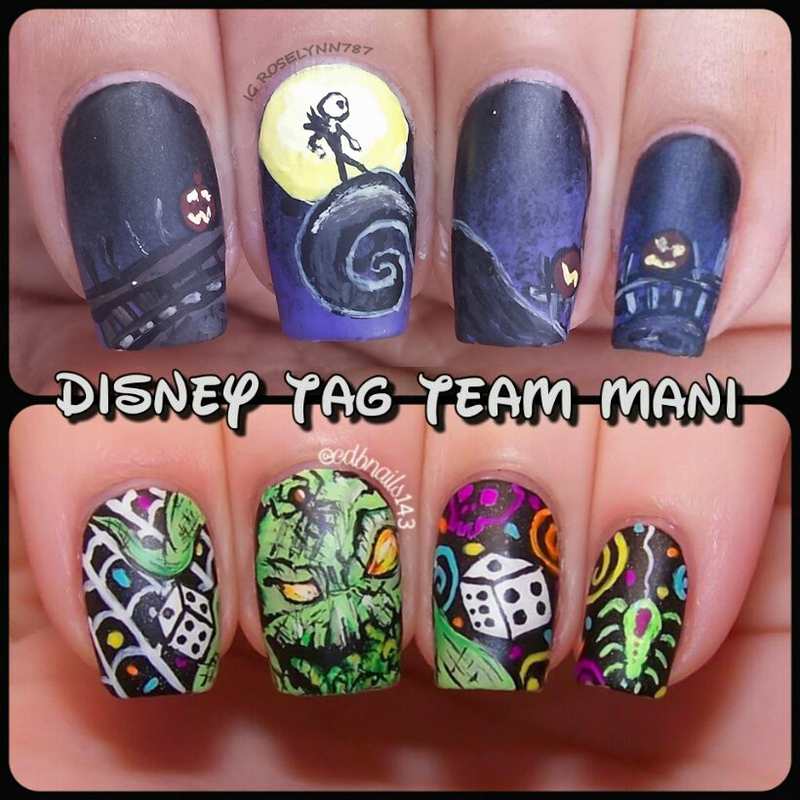 It's time for another Disney Heroes vs Villains mani challenge. If you haven't heard about this yet, it's a weekly challenge created by @hannah_nails_it and @jessnailedit on Instagram. You pick a partner and create a hero/villain combo mani. Last week my bestie Cheyenne and I did Little Mermaid nails in which I had Ariel and she did Ursula. Today I'll be showing you guys our next mani for the challenge based on A Nightmare Before Christmas. I got the hero again this week so you know what means... Jack the Skeleton King! Can you believe I was actually displeased with this mani? I'm not definitely now though. I really am my own worst critic. I was mostly upset because I couldn't do the actual pose of Jack that I initially wanted to do. I tried for about an hour and even cried when it still wasn't working the way I wanted it to. The hubs forced me to take a few minutes to calm down and I practiced on paper for fifteen minutes until I came up with this pose. It's still so incredible hard to draw on such a small scale. The brushes I received a few weeks ago from my bestie Cheyenne really have helped me a lot though. If you look back at my work in April and May and you'll notice the width of my line work has improved, FINALLY. I had to use my go-to black polish which is Raven by Zoya (just realized, kind of a fitting name for this mani). The background is a gradient from black to purple and the purple shade is Jacaranda Flower by New York Color. Everything else you see here was created using acrylic paints. Sealed in the whole this with a matte topcoat from Butter London. This whole mani took about 2 1/2 hours to complete - time for blood, sweat, and tears included. Before I forget, here's the awesome duo-shot of Cheyenne's mani and mine. 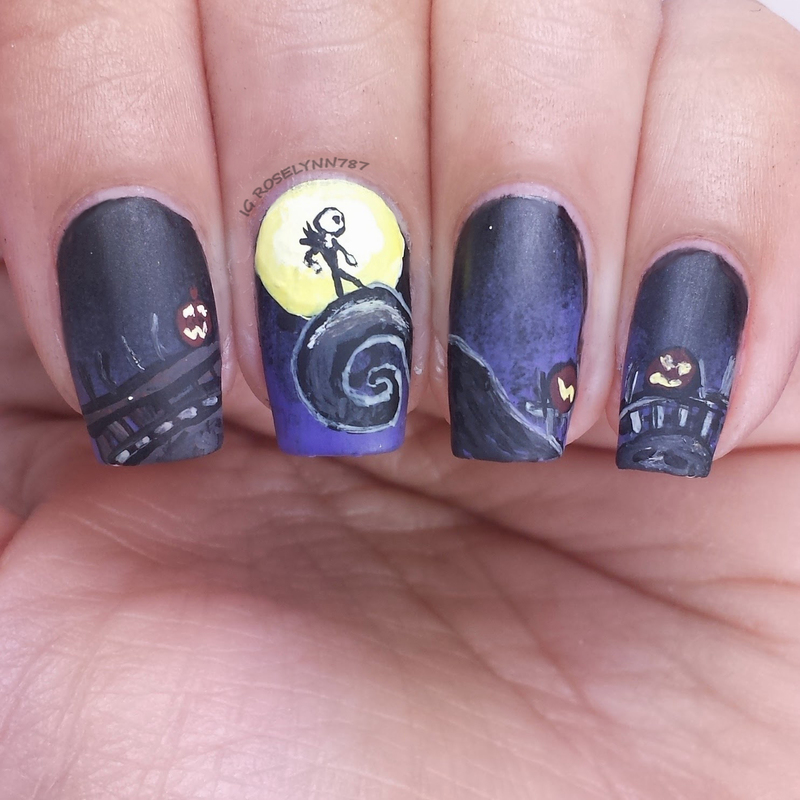 She is such an amazingly talented artist, I was speechless when I saw her mani. I really hope you guys like this as much as I do! I love this so much! You are so talented!!! Definitely nothing you should be displeased with here. These are awesome! I'm so jealous of your skillz! 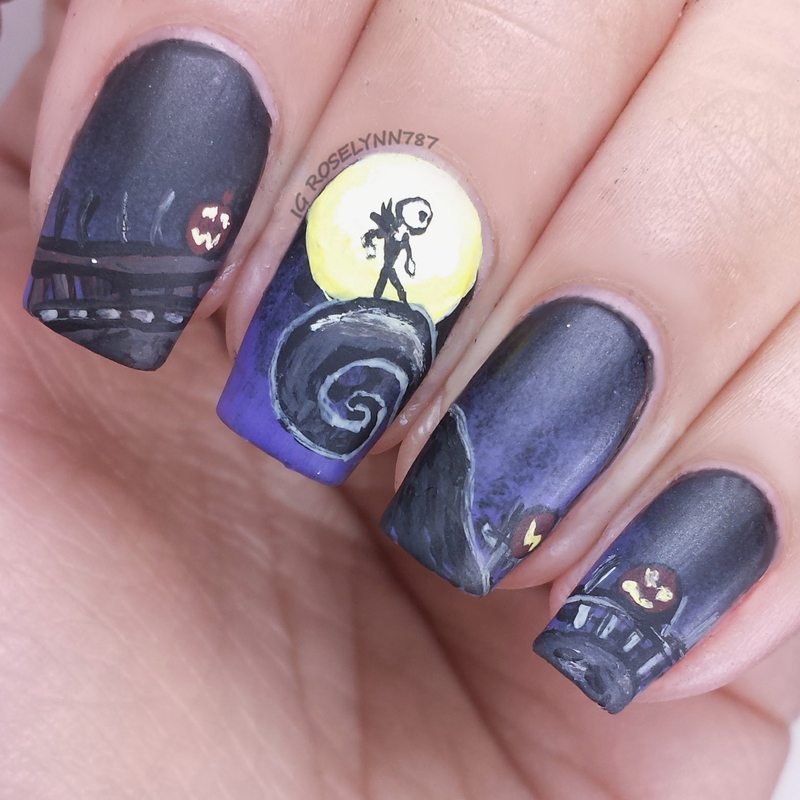 These nails are freakin' awesome! You are so talented! They look perfect.